A brother and sister are forced to flee their country in search for a better life. 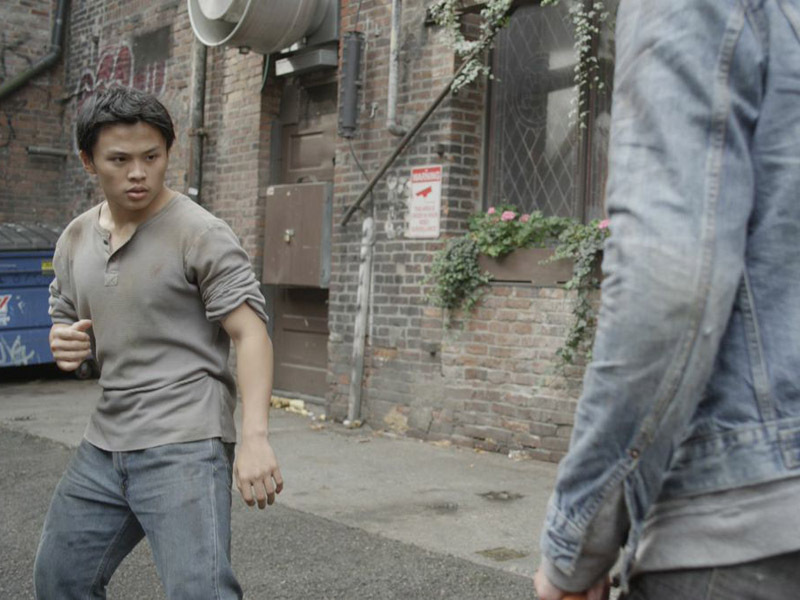 Determined to make their way in a new world, the pair take to the streets of Seattle to exhibit their talents in martial arts and painting. A mysterious art dealer takes interest in the street performers and they quickly find themselves living a dream come true... The sister loses herself in painting, and the brother seizes the opportunity to express himself, as a fighter. After being conned by their patron to forge a Van Gogh and forced into underground rings, the two find themselves embroiled in Seattle's criminal underworld and must fight their way back to freedom. Young director savors her Brush with fame following her debut By Xu Fan ( China Daily ) Updated: 2015-08-06 07:47:27 Young director savors her Brush with fame following her debut Livi Zheng is on her way to Hollywood since her directorial debut, Brush With Danger, in 2014. 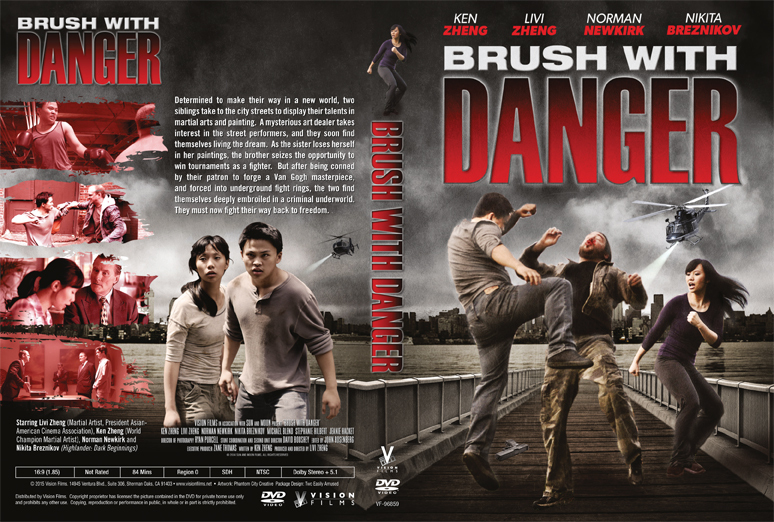 Provided To China Daily At 25, Livi Zheng has already impressed Hollywood with her directorial debut, Brush With Danger, which was selected to compete with 322 other candidates from about 40,000 titles for the 2015 Academy Awards. 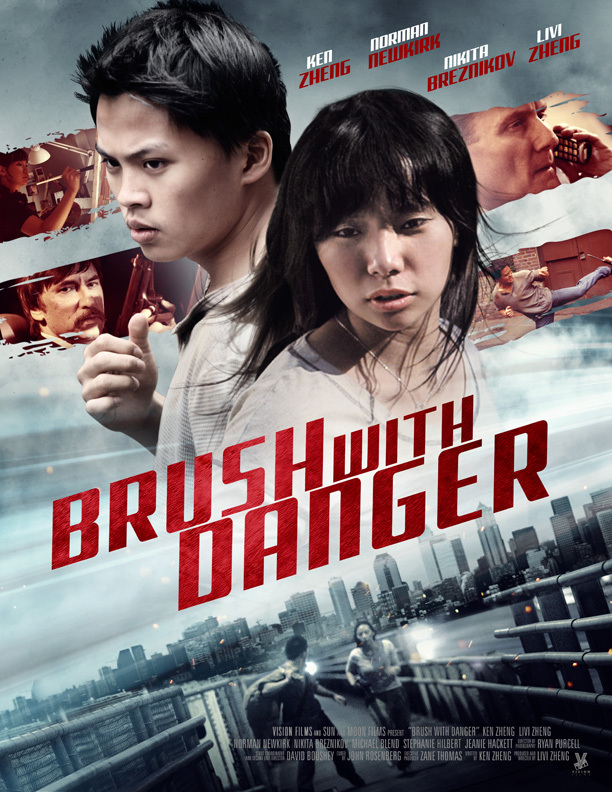 Brush tells the story of an immigrant sister-and-brother duo from Asia, who sneak into Seattle after hiding in a shipping container. Their talents - the brother is good at fighting and the sister is skilled at painting - attract an art gallery owner and pull them into a deadly crime. Zheng wrote the script, revising it more than 30 times to lure investors. She and her younger brother, 19-year-old Ken Zheng, star in the film and do all of the stunts. Some major Western media outlets have applauded the newbie director's debut work. 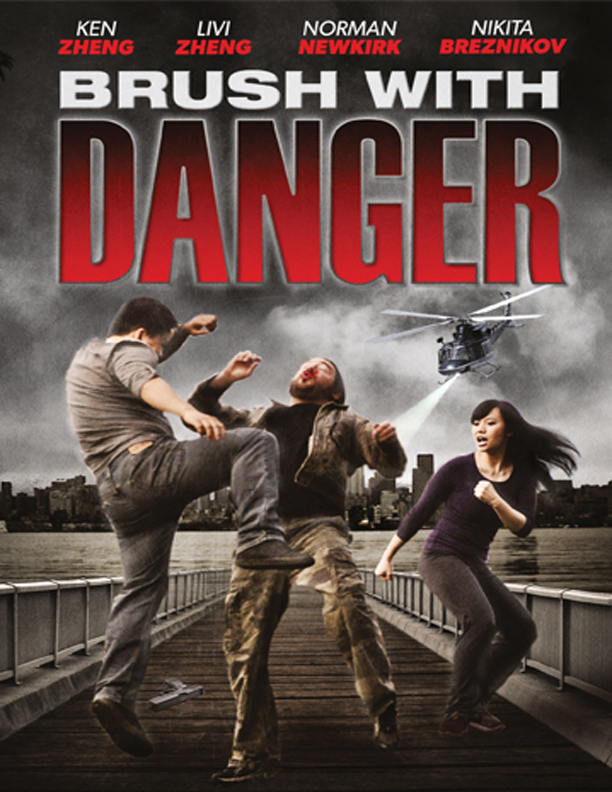 "The seemingly divergent worlds of art and martial arts intersect colorfully in Brush With Danger," says a September review in the Los Angeles Times. Zheng, who is now pursuing her master's degree in the United States, recently spoke about Brush at the Communication University of China and Beijing Normal University. The film was released in the US last year, but for now can only be seen online in China. The young Chinese-Indonesian director, who looks rather like a college student in her white shirt and black pants, says the movie is "a natural evolution" from her two favorite interests - filmmaking and martial arts. Zheng's family has a tradition of practicing martial arts half a day every weekend. "I have taken all the opportunities that can help me get into the movie circle, and took many relevant jobs, such as assistant and stand-in. I've realized film is my lifelong passion," Zheng tells China Daily. Born in a small town in East Java, where there are no movie theaters, Zheng moved to Jakarta, the capital of Indonesia, with her family when she was 4. At age 15, she came to Beijing to pursue her kung fu dream with her brother. They began to study martial-arts skills at Shichahai Sports School, which is known for producing top action stars, such as Jet Li, Donnie Yen and Wu Jing. "Everything had been tough for me at the beginning. I called my parents almost every night. I only knew a few words of Mandarin then," recalls Zheng, smiling at the memory of how a broken light switch would drive her crazy. After three years of studying in Beijing, she returned to the US in 2007. Zheng has won 26 martial arts medals and trophies, including first place at the 2009 USA World Championships in Las Vegas and another first at the US Open in Orlando, Florida, the same year. Last month was her first time to revisit Beijing. She gave more than 100 college students and teachers at film academies a sneak peek at Brush. While some of them regarded it as an interesting feature with dramatic complexity, others sharply pointed out that the smuggled immigrants look cliche and outdated. In an era that more Chinese take luxury-shopping tours and are reportedly responsible for the property-price rise in the US, Brush still features Asian immigrants as "poor" and "struggling for the American dream", they said. Zheng explains the film pays homage to her great-grandparents, who were from East China's Fujian province and migrated to Indonesia. Moreover, she says this film is dedicated to the spirit and determination of Chinese people around the world who always work hard and stay honest even in the most difficult times. Zhou Xing, president of the School of Art and Communication of Beijing Normal University, says Brush could be an appealing Oscar nominee because it "shows the smartness and generosity of American people, which makes it easier to strike a chord with the American market", he says. "Its storyline and dialogues are familiar to Western audiences." Zheng's second movie - its title is yet to be decided - centers on two brothers with supernatural abilities, who flee from their abusive father and get picked up by a special agency which assists the government to hunt evil gangsters. The action thriller, featuring Tony Todd, Madeline Zima and John Savage, will premiere in the US in spring 2016 and then be released globally.